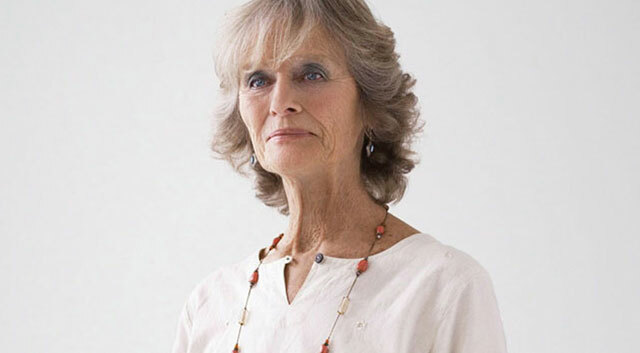 Virginia McKenna starred in the 1966 film “Born Free” alongside her husband Bill Travers. Deeply inspired by their work on the film, they became wildlife activists. In 1984, McKenna and Travers started Zoo Check, later renamed the Born Free Foundation, an International wildlife charity working to prevent animal cruelty and suffering. This interview was conducted by Inside Thirteen. Are there any memories of making Born Free that stand out to you that you can share with us? There are so many memories! Sharing dawn walks with lions on the African plains. Swimming with a lioness in the ocean. Remembering the start of our friendship with George Adamson, which continued until his murder in 1989. It was through him we learned about lions – why and how they respond to different circumstances. How to gain their trust, how to look at things from their point of view. Living in an old settler’s house in the bush, within roaring distance of the lions. The kindness of the Kenyan people we met and with whom we worked. And, of course, the vast Kenya skies with their extraordinary cloud formations which, miraculously, never seemed to obscure the sun. Perhaps one of my most treasured memories is walking out with Girl (one of the lionesses “playing” Elsa) and her brother Boy and seeing a small group of Thomson’s gazelles some distance away. Suddenly Girl took off, stalked them, brought one down, killed it and then, in proper lion fashion, dragged it to us and laid it at my feet. She let us pick it up and put it in the back of the Land Rover to take back to camp. It really made us believe we were part of her pride. You and your husband started a production company in 1968 to make wildlife documentaries. Do you have a favorite of these films? He made many amazing films – “Bloody Ivory,” about elephants being poached for the ivory trade, (tragically still happening today) and the orphans who are left behind when their mothers are killed. David Sheldrick, the then Senior Game Warden of Tsavo National Park was striving to catch the poachers and his wife, Daphne, cared for the orphans – amazing work she continues to this day. “The Queen’s Garden,” the life of the garden at Buckingham Palace, filmed over the period of a year, with an appearance by her Majesty Queen Elizabeth and with a wonderful music score by John Scott. “Christian, The Lion at World’s End” – a clip from which has been viewed on YouTube millions of times. Bill’s chance encounter with this young lion and his owners in a shop in London enabled Christian, through Bill’s unfailing endeavours, to be returned to the wild in Kenya by George Adamson, after spending 4 months in a compound in our garden in the country, cared for by his owners Ace Bourke and John Rendall. Apart from the first scene where we met Christian, the whole documentary was filmed as it happened. A feature film which he co-wrote and produced with James Hill (who directed Born Free and “Christian, the Lion at World’s End”) was “An Elephant Called Slowly,” in 1968. This film means a lot to me, as it was then that we met a little two-year-old elephant who had been captured from the wild by the then Kenyan Government as a gift to London Zoo. We made the film in Tsavo with the Sheldrick’s orphaned elephants as well. When filming ended, our request to buy the little one, Pole Pole, was granted but we were told another would have to be captured for the zoo. An intolerable thought. She came to the zoo. It was her death there, as a teenager, that propelled us into forming a charity to look at the situations wild animals face in captivity. Pole Pole’s death could not be in vain. Originally called Zoo Check, it was renamed The Born Free Foundation in 1991. During pre-production on Born Free, you broke your ankle when a lion jumped on you. Were you nervous at all about something like this happening during the making of the film, or were you and the cast comfortable with the animals on set? No, I wasn’t nervous about having an accident during the making of the film. The incident you mention was just chance. It only happened because the lion, Boy, was very excited. We had, with Girl, been stalking some gazelles out on an old airstrip. The gazelles were a long way off and our two were getting a bit frustrated. I think he decided I would be a bit easier to knock over! But apart from that he did not hurt me at all and we were very comfortable together when I eventually returned to work. The crew was protected in wire “cages” as it was important the focus of the relationship was between the lions, Bill, George and myself. What was your experience working with Nature like? I was very fortunate that, through taking part in the documentary, I was able to return to Kenya, to travel up to Meru, and revisit the places where Elsa lived, brought her cubs to the Adamson’s camp and where she died. I also went to the site of George’s first little camp where Bill made “The Lions are Free.” It is always a nostalgic experience for me when I return to these quiet, unassuming places where a kind of history was made. The Director, Sacha Mirzoeff, and the crew on the documentary were particularly sensitive and nice people and I felt very fortunate. Was there anything you were surprised to learn about the Adamsons during the making of the film? No, there wasn’t really anything that surprised me. I had only just read the book, so that is all I knew! Later I learned much more and I am aware that Joy often came in for strong criticism. I have to say that during the filming she was totally helpful and approachable. Following filming I spent an extraordinary three days with her in Meru. She was a passionate, sometimes unreasonable and volatile person but through her financial generosity three game parks were saved and look at the story she has left us. Of course, that story could not have happened without George, our lion man, loved and respected by us all. It was the two of them that made it happen – so different, yet bound together by their commitment to wild animals being able to live as nature intended – in the wild. What do you feel is the biggest threat to animals in the wild today? Has it changed since Born Free was made? Well, there is more threat to wild animals today than ever. Poaching, hunting, over fishing, poisoning, trapping, reduction of habitat (increased human population and therefore human/animal conflict), traditional Chinese medicine, climate change, capturing for zoos and circuses – the list is endless. Man’s insatiable need to own, to possess, to manipulate, to have everything his own way is wrecking the balance of nature. Some may say I see nature through “rose tinted glasses.” I refute that. I am a realist, and I believe that what we are doing to wild places and wild animals is one of the greatest tragedies of our time. Some say nature is “red in tooth and claw.” That is one way of putting it. I call it survival. Sadly humans, without the survival element, have the reddest and sharpest teeth and claws of all.